VISIONTEK GL-14 POS is a smart, compact multi purpose Transaction Terminal for on the go Handheld and Desktop applications. 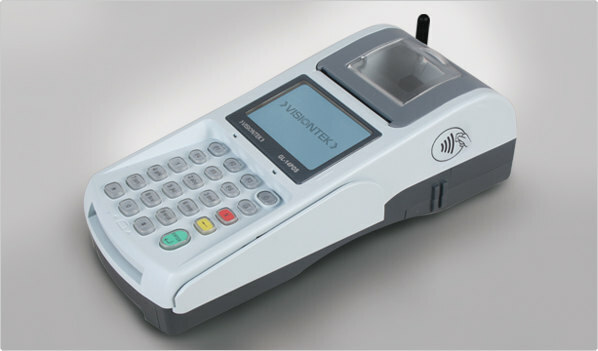 Pre-paid airtime and E vouchers, Money Transfers, RFID/NFC based transactions, Utility bill payments, Ticketing, etc are few of the applications on the GL-14. A Hi speed 32 bit Processor, large memory, built in optional GPRS / LAN / Wi-Fi Communication modules make the GL-14 a truly versatile unit suitable for use with multiple applications in a single Terminal. VISIONTEK GL-14 offers total security and convenience while operating with mobility in departmental stores, supermarkets, shops, restaurants, and other merchant outlets. 1.6 Magnetic Swipe Card Reader ISO7811, 3 Track Magnetic Swipe Card Reader.